Autres There are 14 products. Larimar stone bracelet This Larimar stone is a restorative for the body. She gives the joy of living. The larimar fights fears and feelings of guilt, calms anxieties. 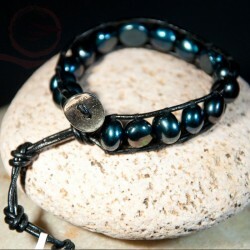 Mala beads wood: Mala in rosewood, black pearl of 10mm. Mala means necklace of flowers. Mala beads wood: Beau sandalwood mala beads, pearls with beautiful arabesques.This mala with the 108 wooden beads is a Buddhist rosary. The 108 wooden beads represent 108 races has endured the Buddhas. 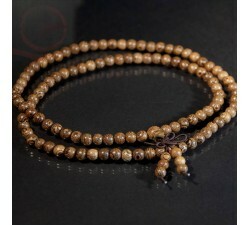 Mala beads wood: This mala with the 108 wooden beads is a Buddhist rosary. The 108 wooden beads represent 108 races has endured the Buddhas. 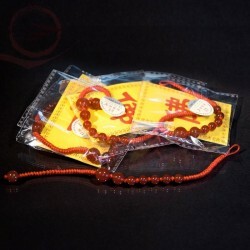 Red agate beads bracelet : Beautiful braided bracelet, adorned with a multitude of red agates, sliding knot closure, fits any wristLucky charm always a welcome gift. The red rope bodes well, with 10,000 blessings. Beautiful bracelet leather and gray freshwater stones and blue. The stones have a beautiful reflectionwhich gives an elegant look. You can wear it alone or combined with another bracelet in pearls.The closure is silver, it can both length adjustment (17 cm to 21 cm). Calculating postage at the time of registration!